The perfect gift for music lovers and Elvis Costello fans, telling the story behind Elvis Costello's legendary career and his iconic, beloved songs. Unfaithful Music & Disappearing Ink provides readers with a master's catalogue of a lifetime of great music. Costello reveals the process behind writing and recording legendary albums like My Aim Is True, This Year's Model, Armed Forces, Almost Blue, Imperial Bedroom, and King of America. He tells the detailed stories, experiences, and emotions behind such beloved songs as "Alison," "Accidents Will Happen," "Watching the Detectives," "Oliver's Army," "Welcome to the Working Week," "Radio Radio," "Shipbuilding," and "Veronica," the last of which is one of a number of songs revealed to connect to the lives of the previous generations of his family. 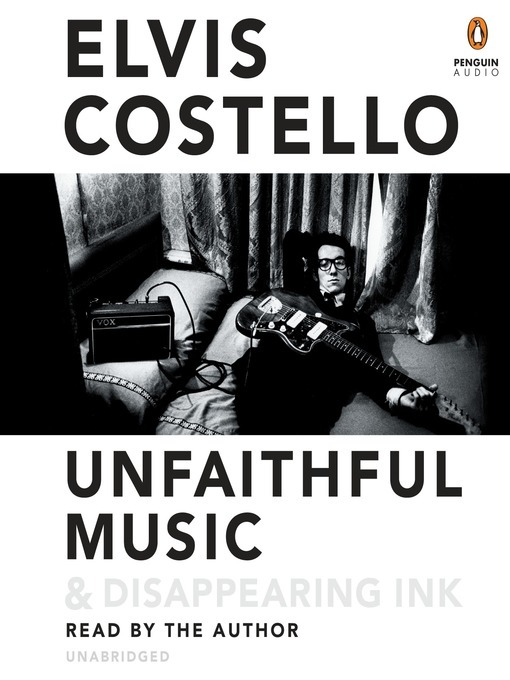 Costello chronicles his musical apprenticeship, a child's view of his father Ross MacManus' career on radio and in the dancehall; his own initial almost comical steps in folk clubs and cellar dive before his first sessions for Stiff Record, the formation of the Attractions, and his frenetic and ultimately notorious third U.S. tour. He takes readers behind the scenes of Top of the Pops and Saturday Night Live, and his own show, Spectacle, on which he hosted artists such as Lou Reed, Elton John, Levon Helm, Jesse Winchester, Bruce Springsteen, and President Bill Clinton.